By Dr. Connie Guttersen, Mark Dedomenico, M.D. 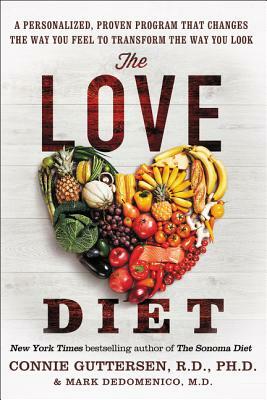 Connie Guttersen, R.D., Ph.D., is the New York Times bestselling author of The Sonoma Diet, a registered dietitian and nutrition instructor at the world-famous Culinary Institute of America, and has consulted with a broad range of corporations and Fortune 500 companies. She lives with her family in Northern California. Mark Dedomenico, M.D., is the founder and medical director of the renowned 20/20 LifeStyles program. A former cardiovascular surgeon, he has done extensive research in the field of metabolic disease control and weight management to correct metabolic disorders without medication. He lives in Seattle, Washington. This is an informative, comprehensive, and practical resource by two experienced medical nutrition practitioners. It offers step-by-step advice to help the reader transform unhealthy, self-defeating habits and mindsets to maintain a way of life that honors oneself.